For Russian oil companies, the business climate in Europe is good, but a lot of fallacious information about the country still needs to be countered, Vagit Alekperov, founder and president of Lukoil, Russia's largest oil company, told EurActiv in interview. 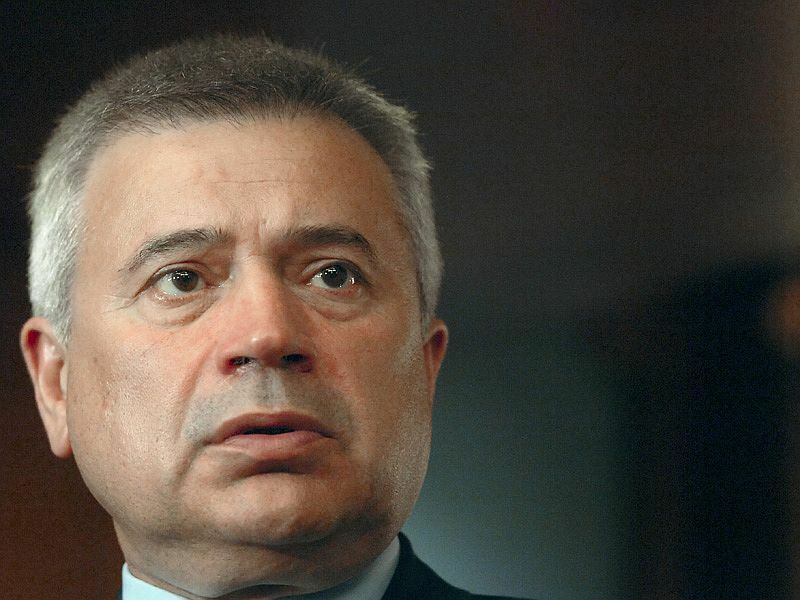 Vagit Alekperov created Lukoil in 1991. With operations in 40 countries, the company is now the world's second-largest oil company in terms of proven oil and gas reserves after ExxonMobil. Alekperov is rated by Forbes magazine as the sixth richest person in Russia with more than $10 billion of net worth. As a prominent representative of big Russian business, how would you assess the state of relations between your country and the EU? Is the climate good? Lukoil, the company I represent, operates in 16 countries of the European Union. Our relations with the European institutions are good, and I can illustrate them with the fact that we have received today (1 July) permission to buy two oil-processing plants, in Sicily and in the Netherlands. This gives us confidence that our investments in the EU, which we intend to continue, will receive support on the EU side. In particular, on the territory of Bulgaria, Lukoil has plans for an investment to the value of half a billion dollars, in rehabilitating the oil refinery in Burgas, so that this plant would become one of the most modern in the EU. We also plan investments in Bulgaria in wind farms, and as in other countries, our activities only receive positive reactions. Recently Lukoil bought 157 filling stations in Belgium. What is your strategy for Western Europe? Indeed, we own a chain of filling stations in Belgium and Luxembourg, and we plan to enter the Dutch market. Can we say then that Russian business finds no obstacles in penetrating the West? In any case, I can say that our company finds no such obstacles. In the business segment where we are active we don't experience difficulties. Lukoil is a private company quoted on the London Stock Exchange, and our Western partners see us as any other company working under the principle of transparency in business affairs. You have just participated in a debate at the European Business Summit and from here your next meetings are in the European Parliament. Do you need to lobby MEPs? And on what? No, it's not even lobbying. It's about presenting the position of Lukoil on the territory of the EU. It's about presenting the development strategy of our company. I frequently meet the European commissioners, and this is very important, because there is a lot of fallacious information circulating around, including about my country. I consider it part of my everyday work to explain the real strategies and positions. Maybe it's easier for your EU partners to work with Russia in the field of oil, and more difficult to work with Gazprom. Would you agree? The situation with the gas business is different. We have a law in Russia that limits to just one the number of gas exporters. Gazprom is the only gas supplier from Russia. But we don't need to discuss the laws of the Russian Federation, those laws ensure stable flows of Russian gas to the EU market. Indirectly, we also participate, as we produce 15 billion cubic metres of gas per year. We sell it to Russia and Gazprom exports our gas as well. What's your opinion on competition between the Gazprom-favoured South Stream pipeline and Nabucco, a EU project aimed at decreasing Europe's dependence on Russian gas? I think that any plans have to be economically sound and resource-secured. This is the bottom line: the economic viability and the availability of gas to be supplied by the pipelines. But I don't see those two pipelines as competitors. Maybe they will complement each other. I don't exclude that in the not-so-distant future a pipeline from Iraq across Turkey would complement this system. There are also projects for pipelines to China. But doesn't politics interfere in business? South Stream has been designed to bypass Ukraine, and Nabucco is supposed to import from sources other than Russia. Aren't they political pipelines? No, South Stream and Nord Stream are not designed to bypass anyone. They are designed to help Russia bring gas to the EU without transiting countries. This in fact can bring down the price of gas supplies. As for Nabucco – I would advise that political aspects should not take centre stage, and that economic considerations should prevail. Are representatives of big business in Russia a projection of the country's power? Are you and Mr. Alexander Medvedev from Gazprom, who attended the same round table, some sort of ambassadors of the Kremlin? No. We are not authorised to speak on behalf of the authorities. Myself, as a representative of a private company of which the state doesn't own a single per cent, speak on behalf of the Council of Directors in which I participate. But the fact that we work closely with the government is also perfectly obvious. The bowels of the earth belong to the state. The state is represented by the government. Cooperation with the government is the basis for stable work for any fossil energy company.